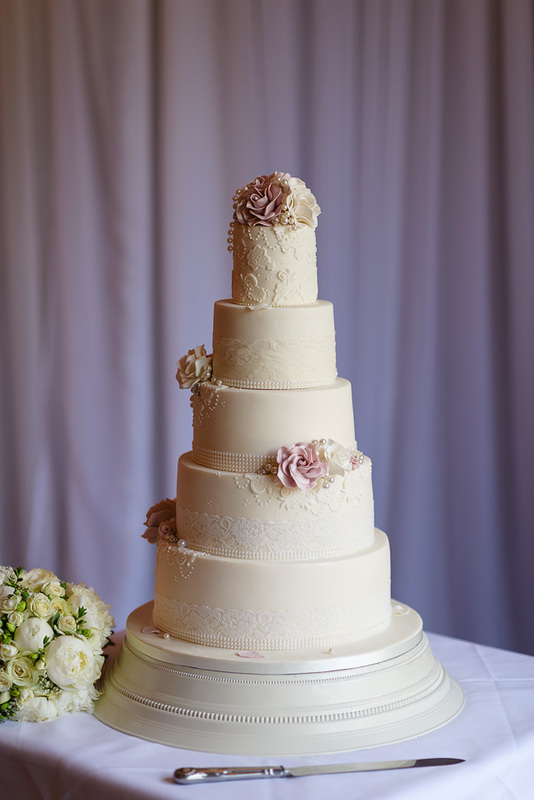 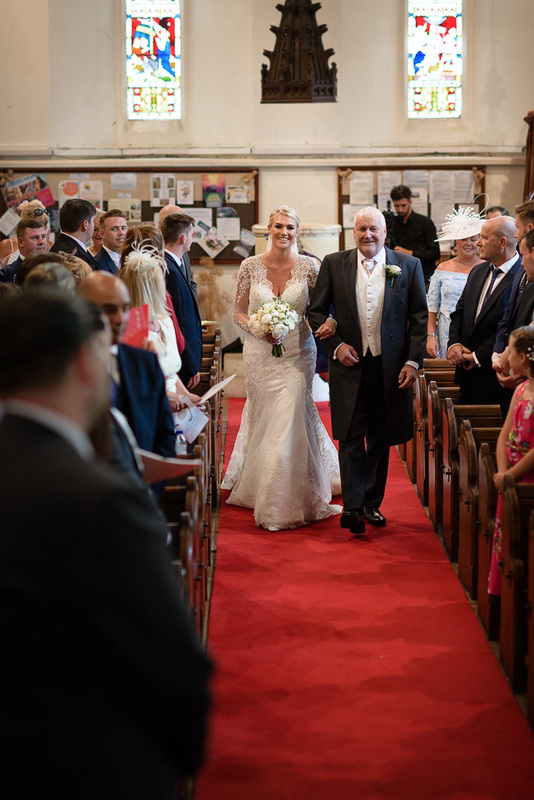 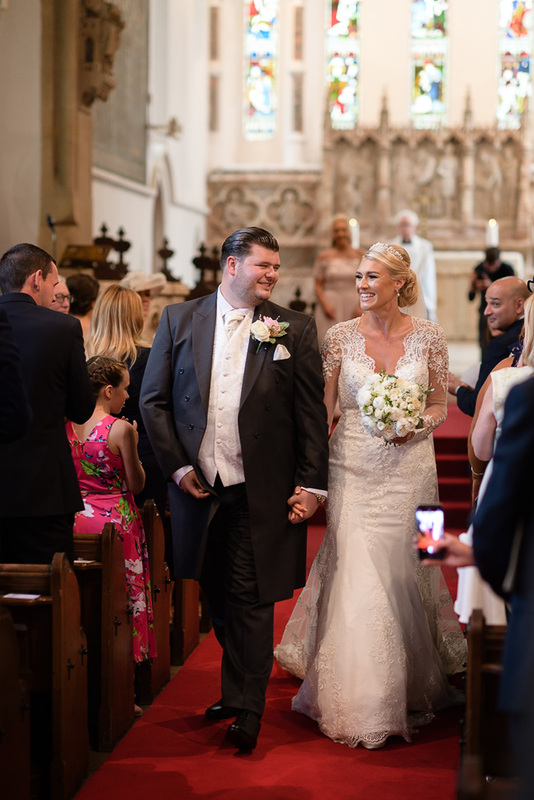 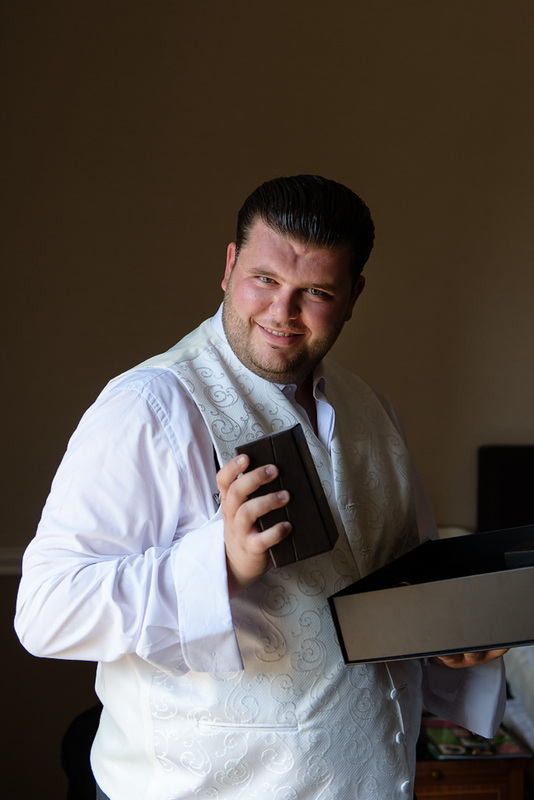 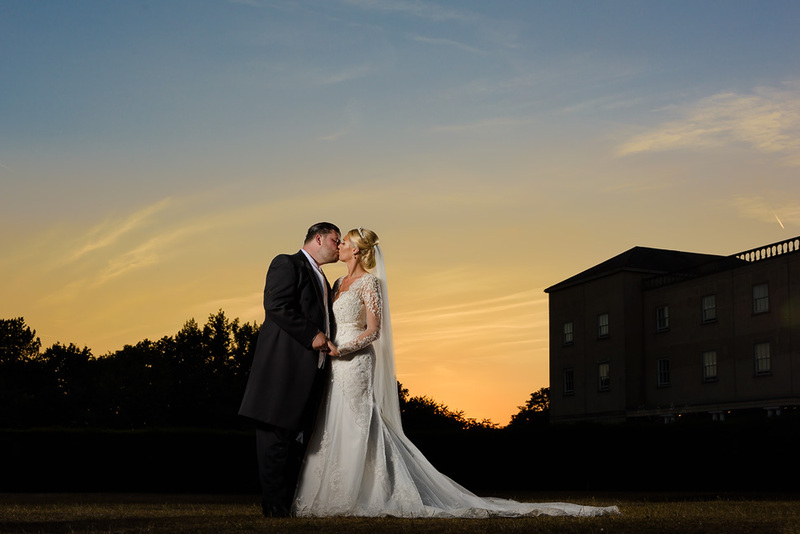 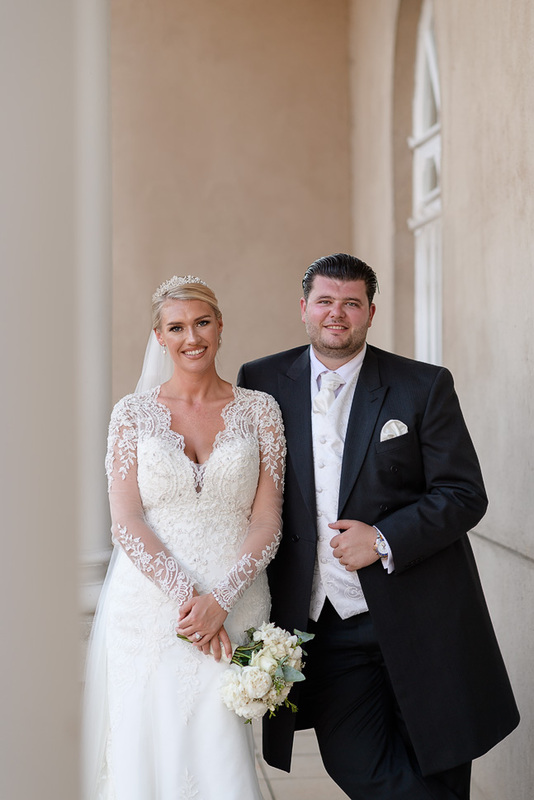 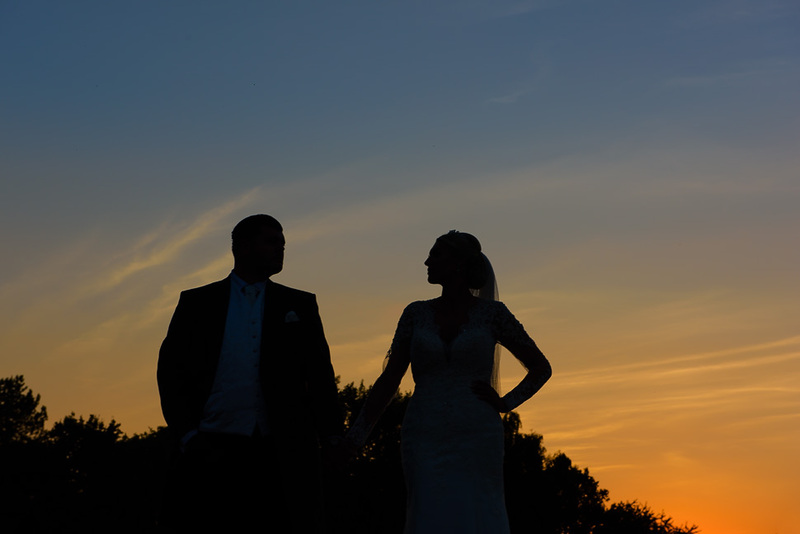 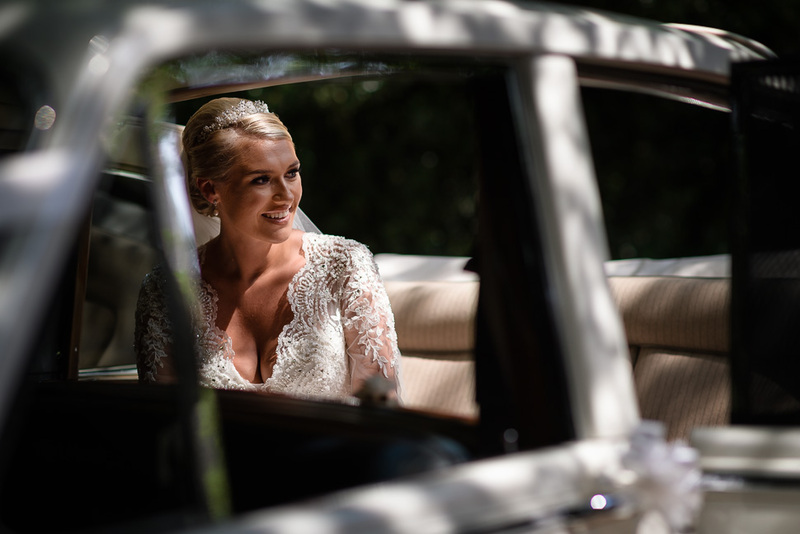 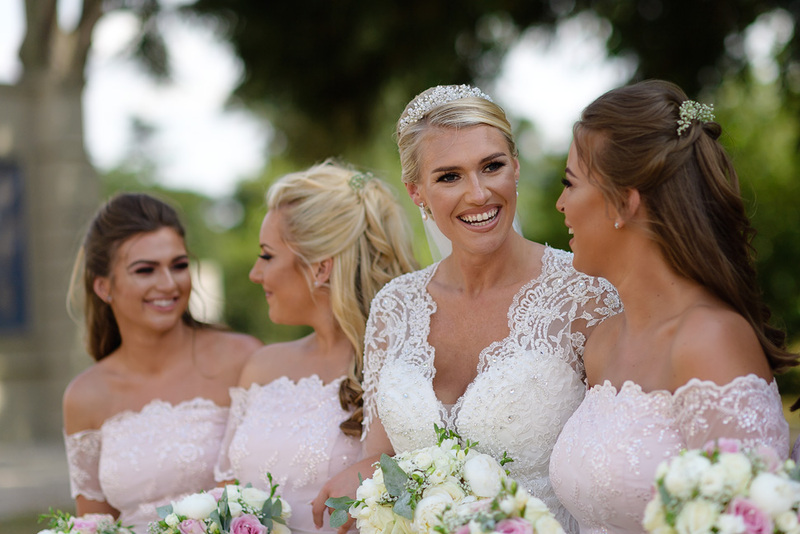 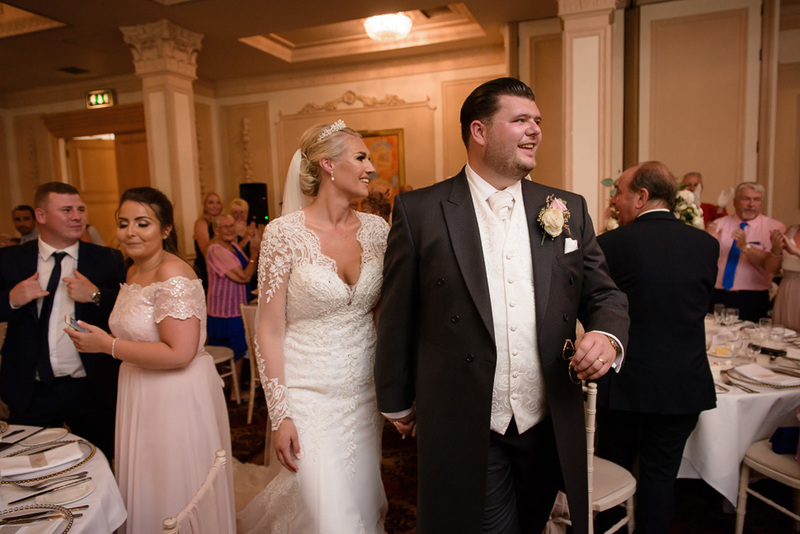 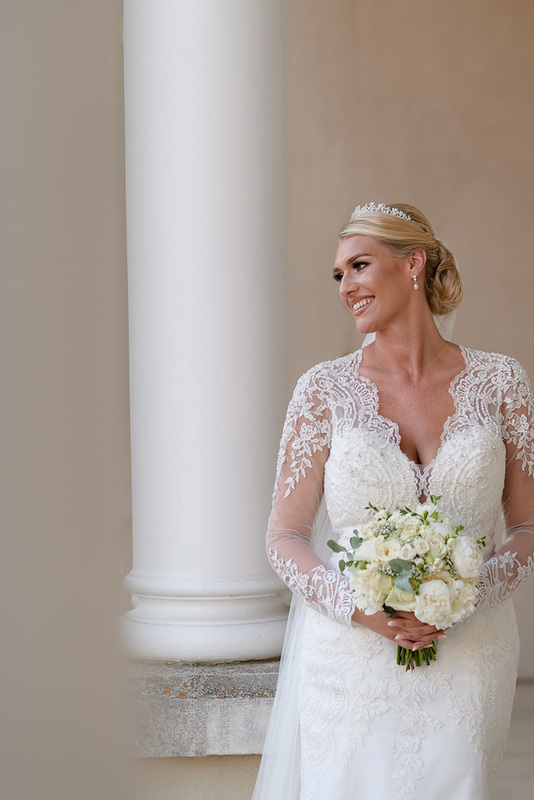 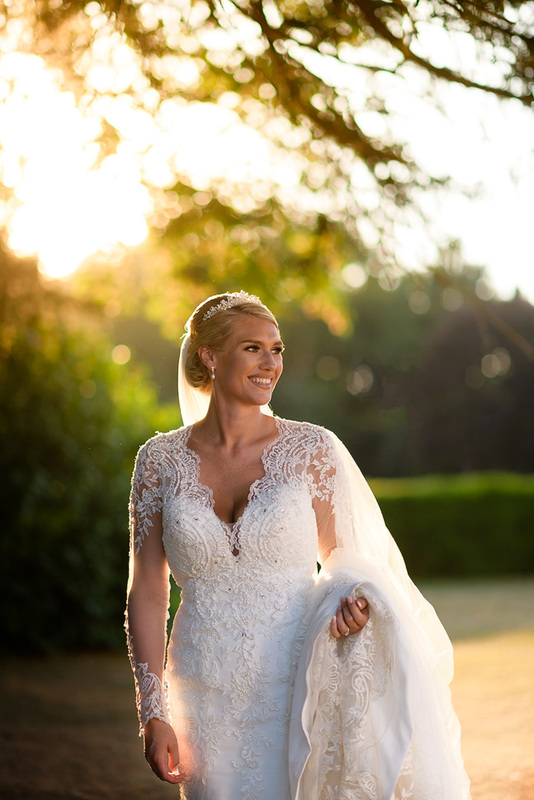 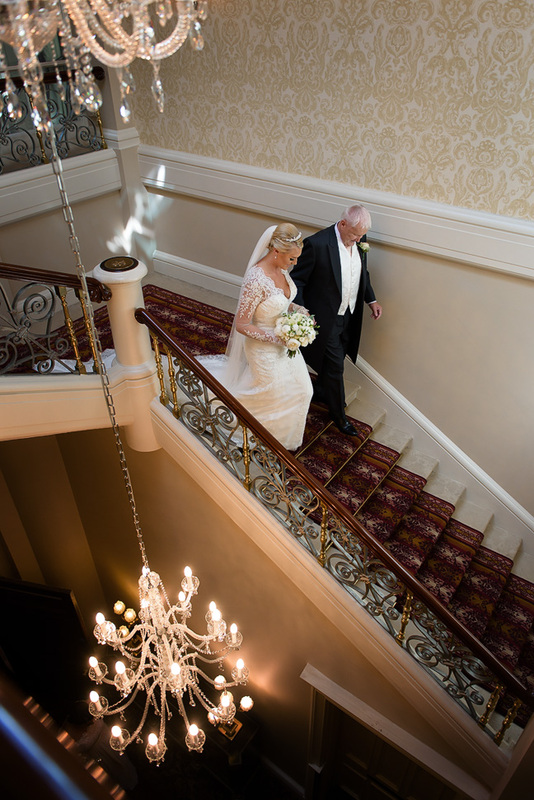 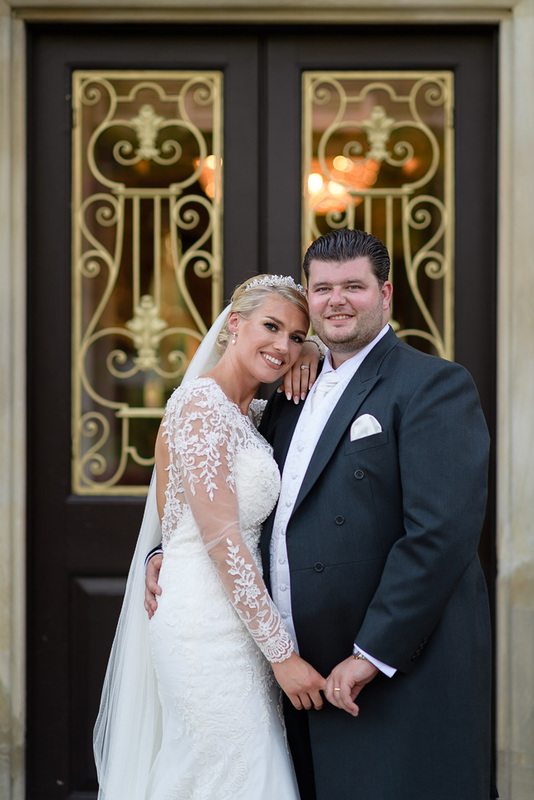 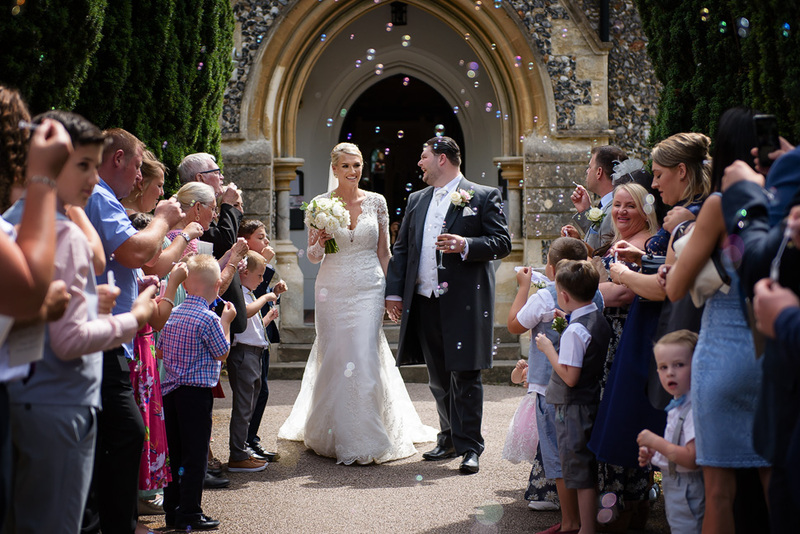 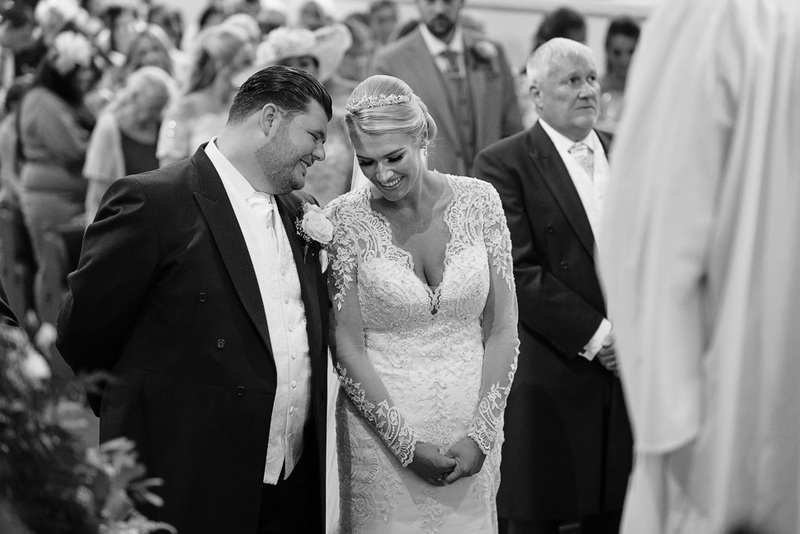 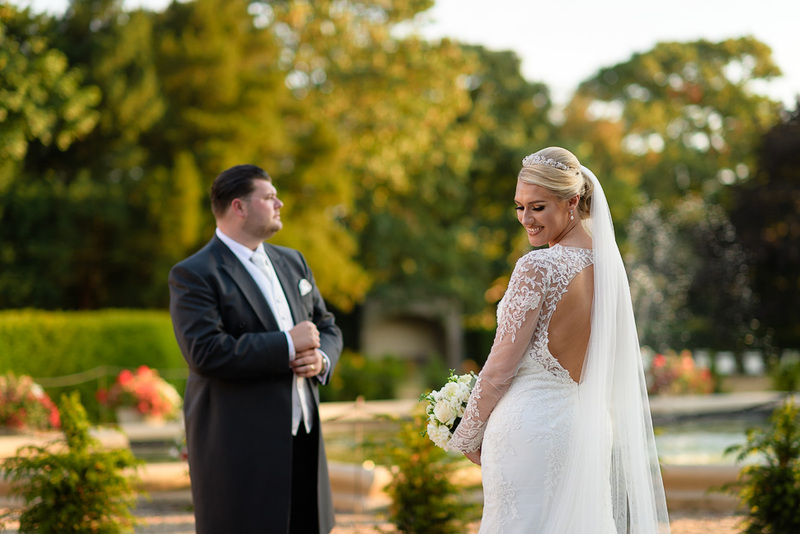 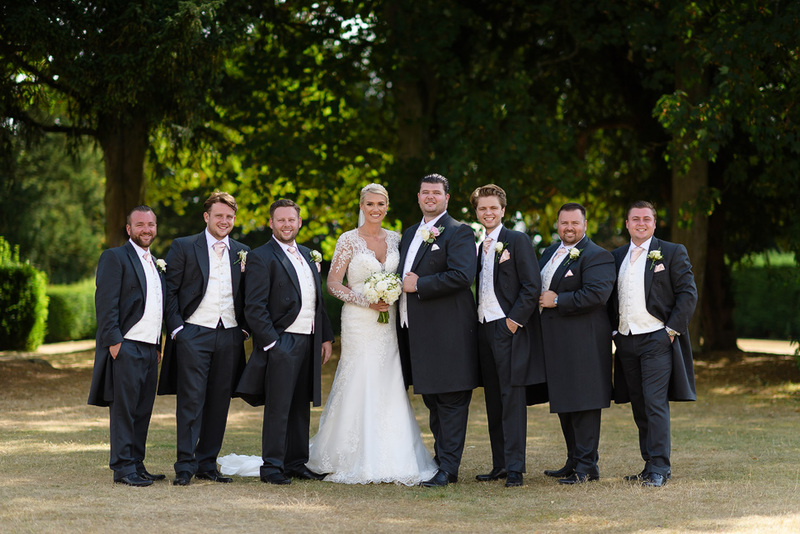 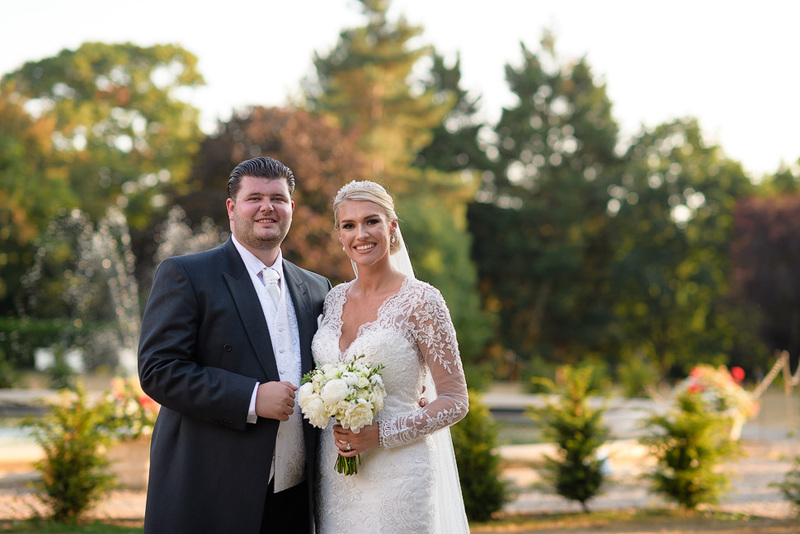 I had the opportunity to photograph Louise and Joe’s wedding at the beginning of August at Down Hall Hotel and Spa in Hatfield Heath on what was probably one of the hottest days of the year!! 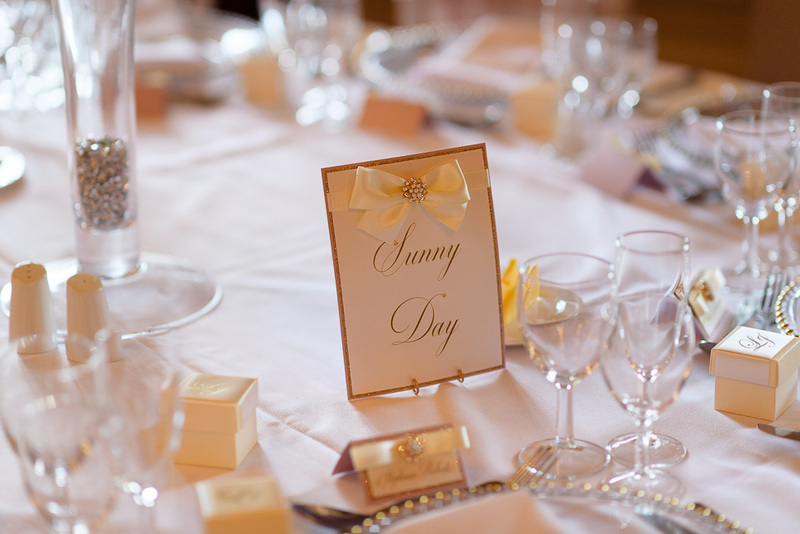 The sun was scorching! 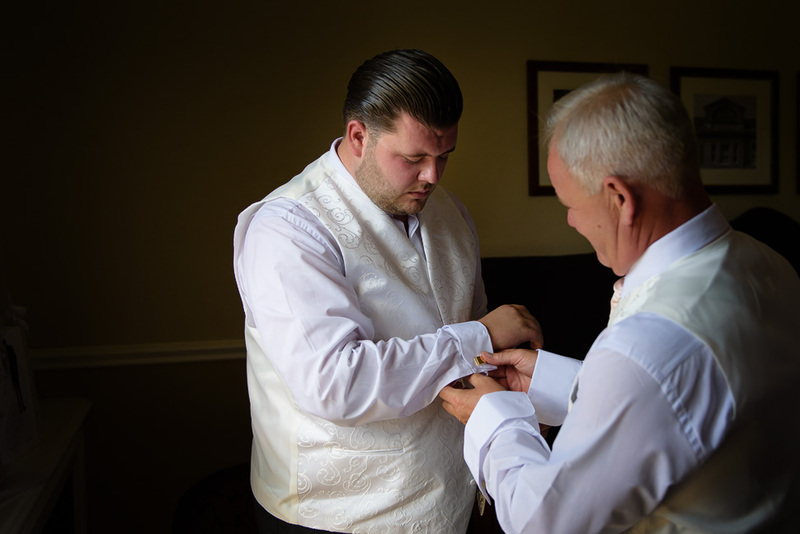 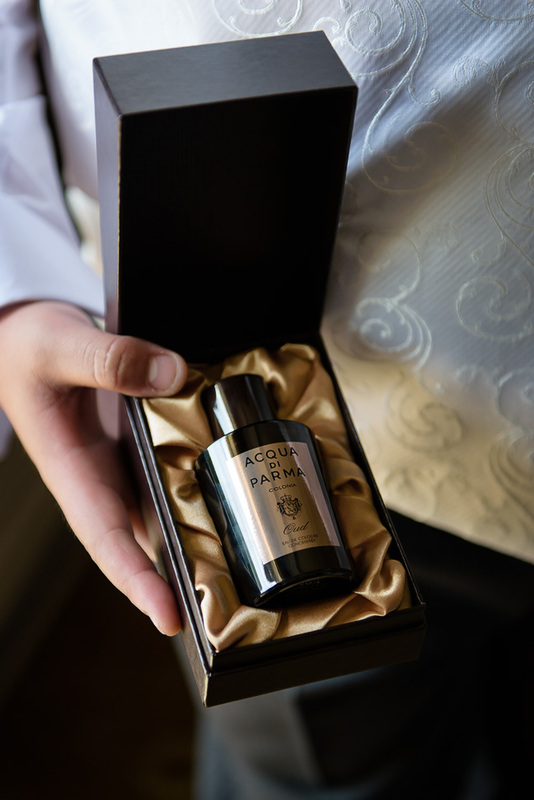 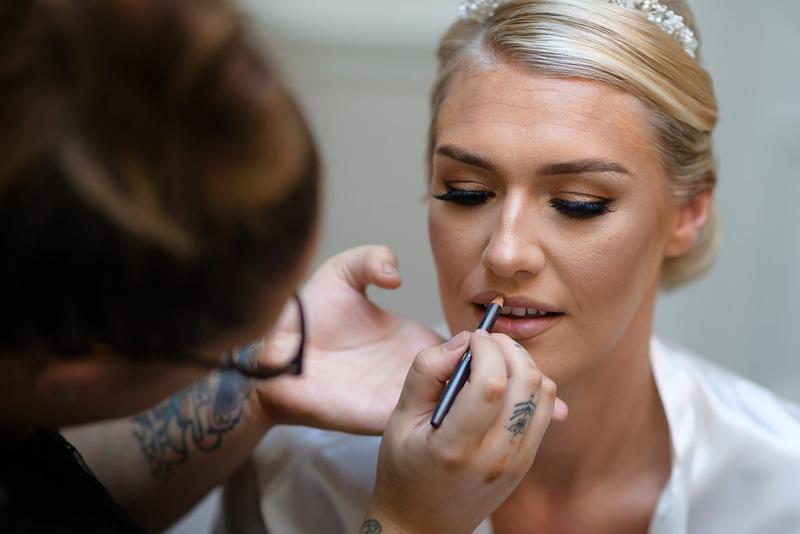 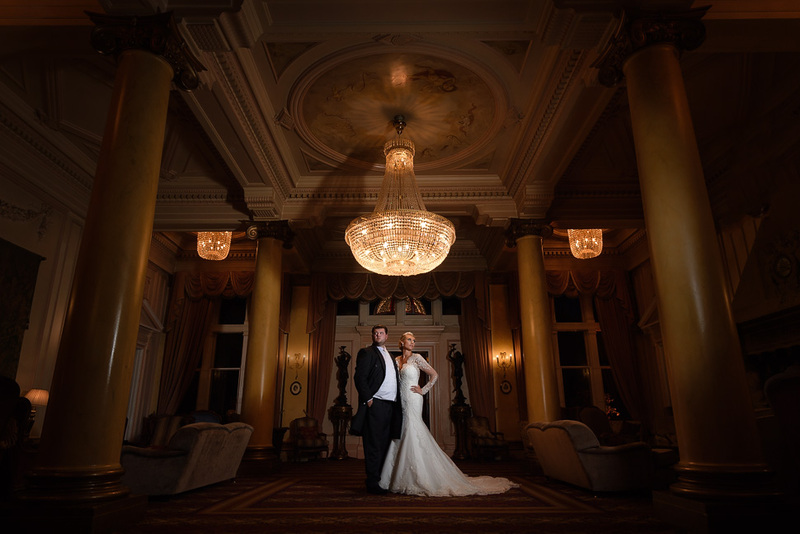 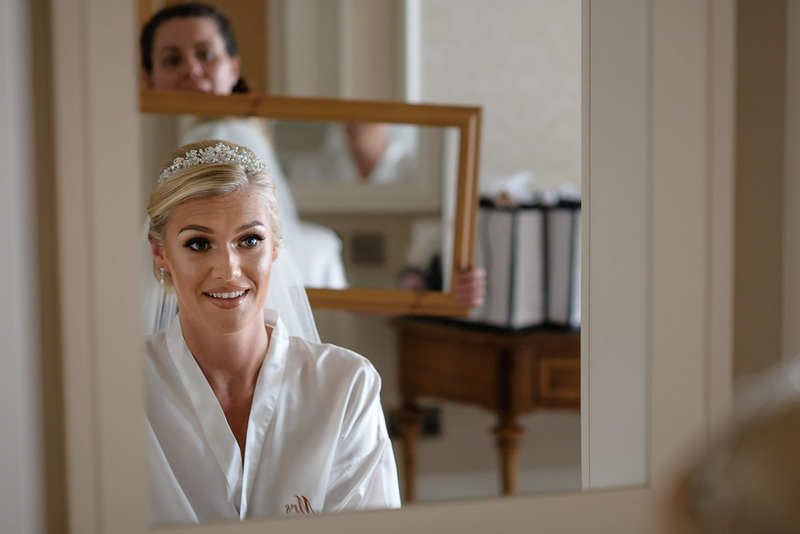 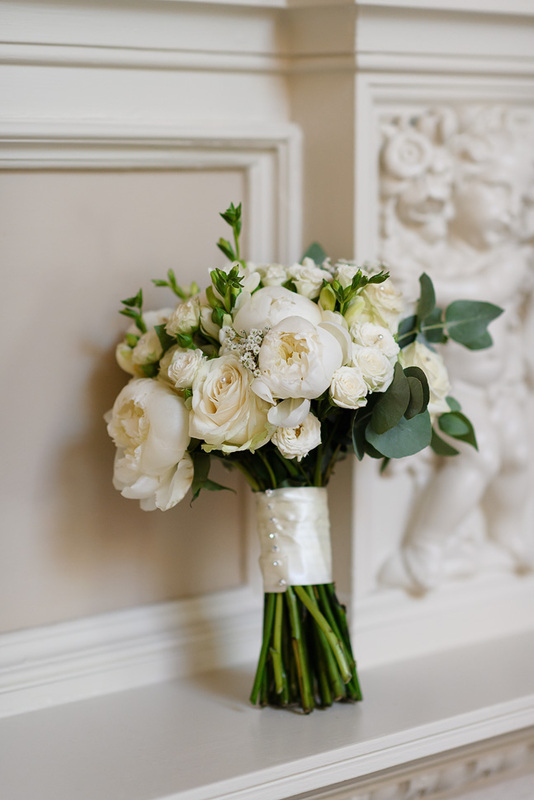 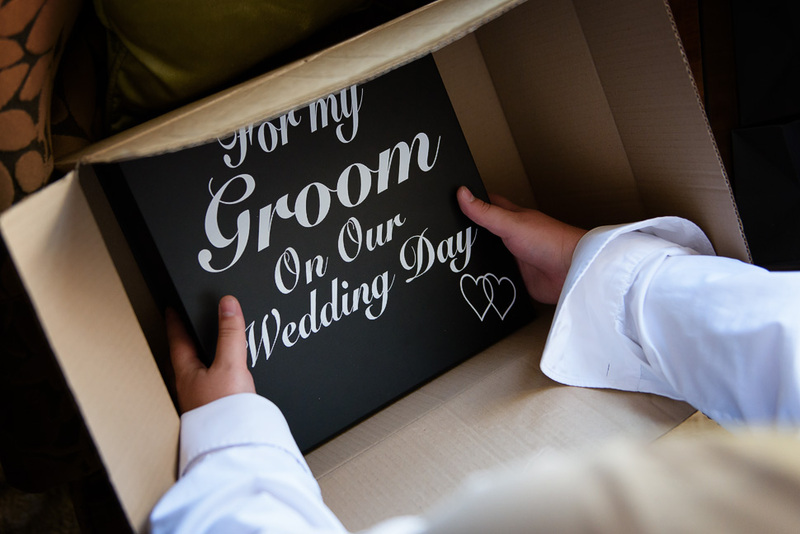 The day began with me documenting some of the preparations with Louise and the bridal party whilst they got ready at Down Hall, mean while Joe and the groomsmen got ready in the west wing! 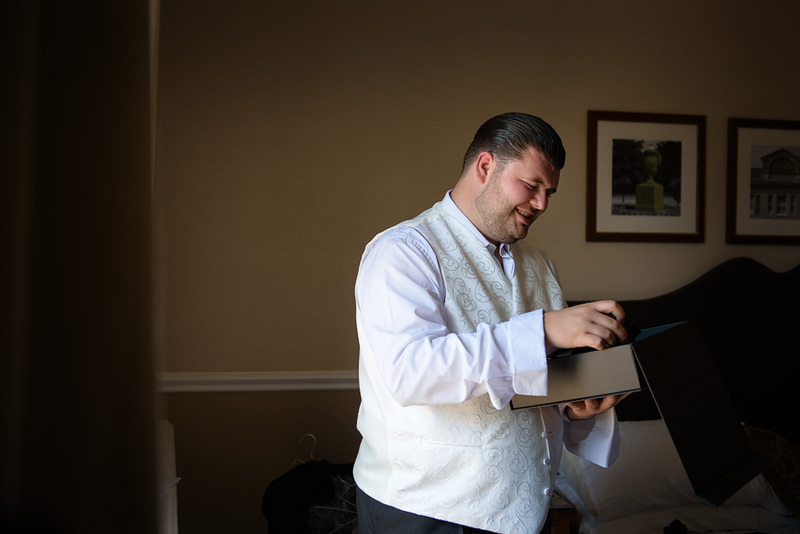 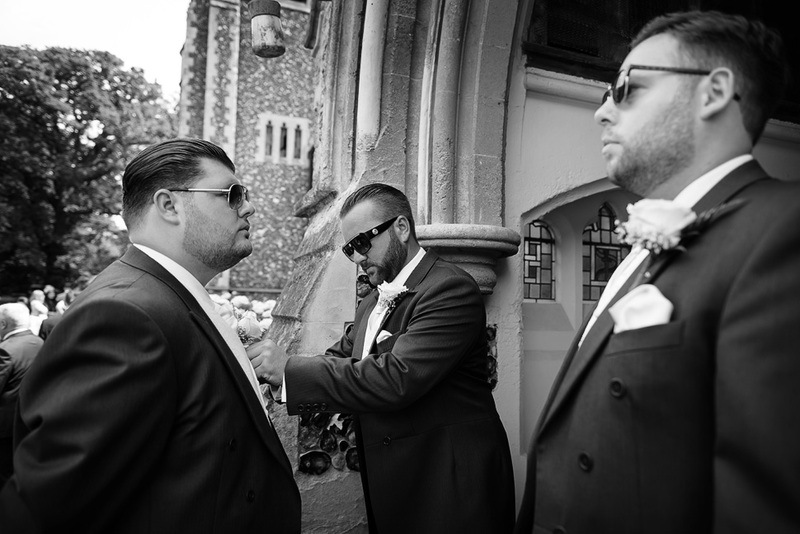 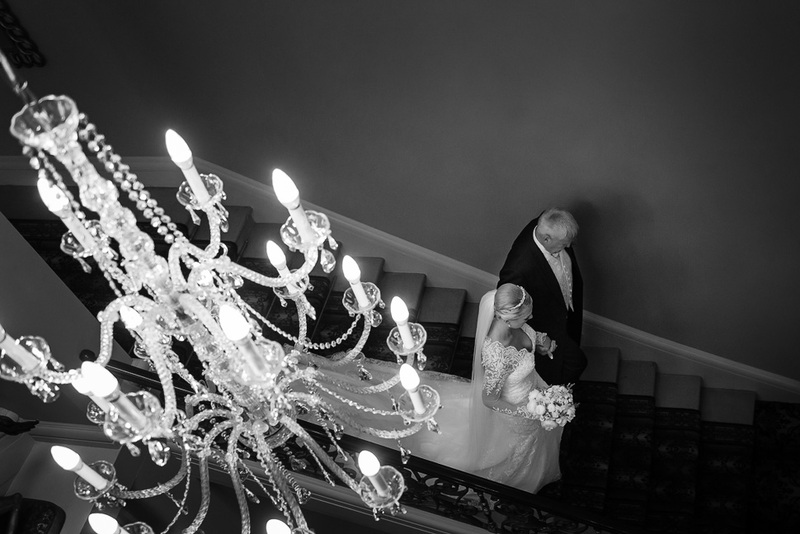 In situations such as this where the bride and groom are getting ready in the same building I can capture some of the groom prep too! 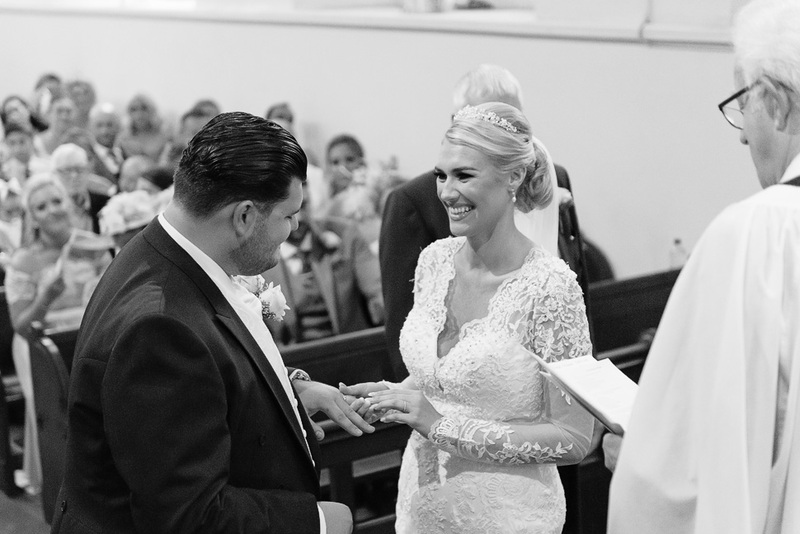 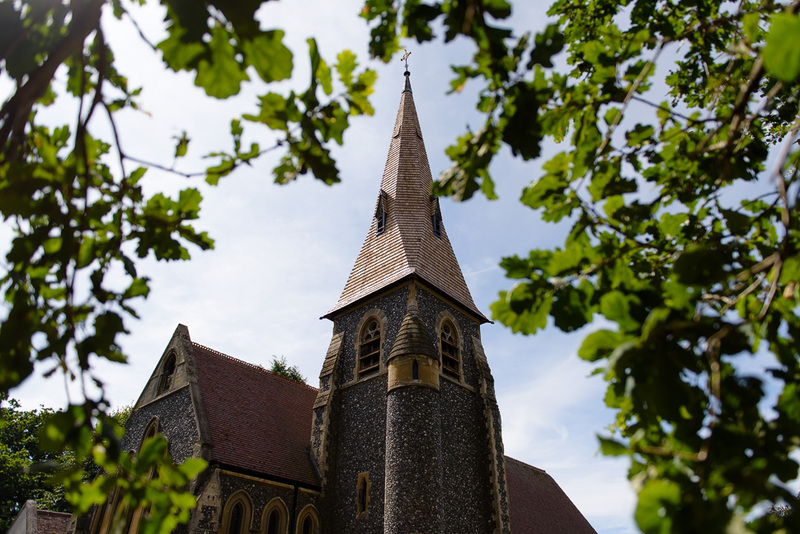 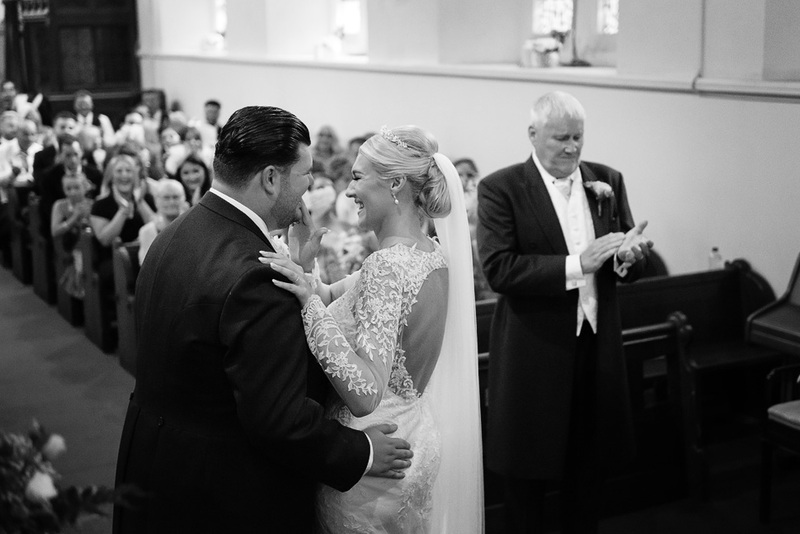 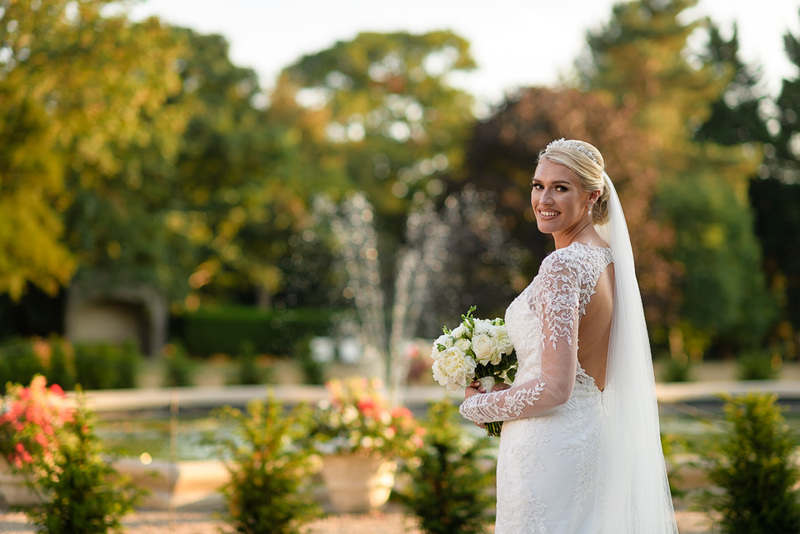 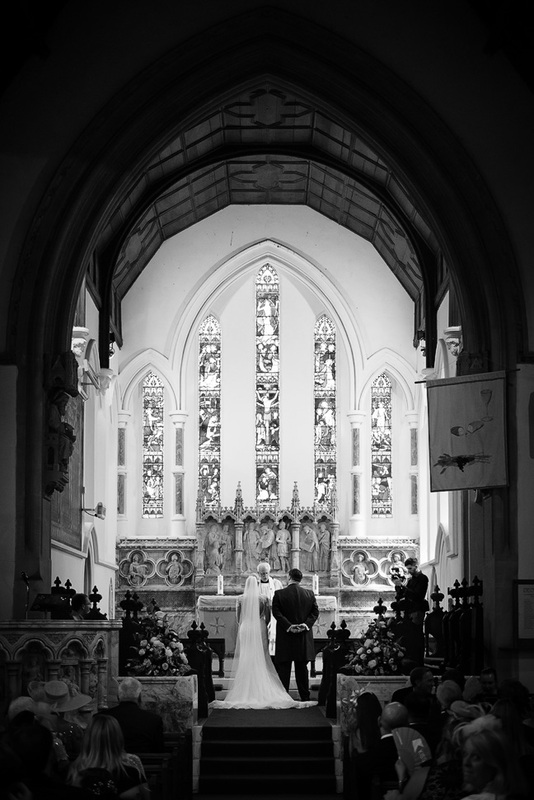 The ceremony was held at St Pauls Church in Brentwood, 2nd time there this year and it is a beautiful Church! 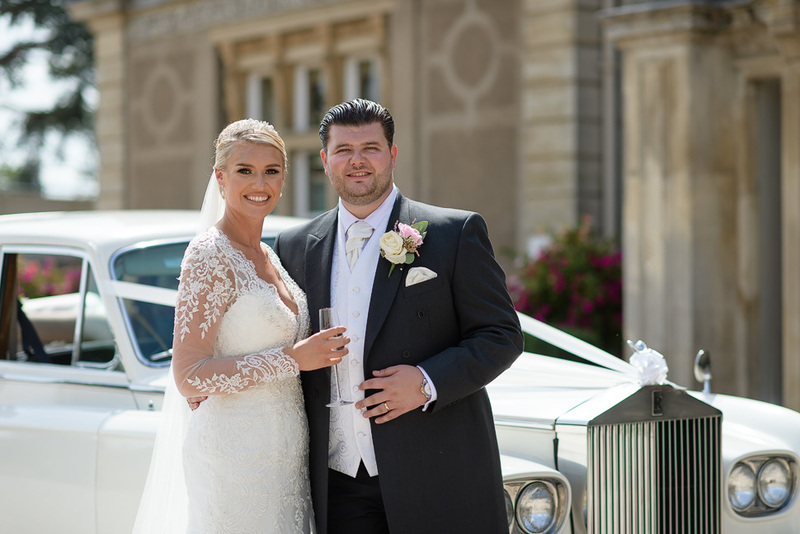 Louise and her dad travelled there in style in a drop top Rolls Royce. 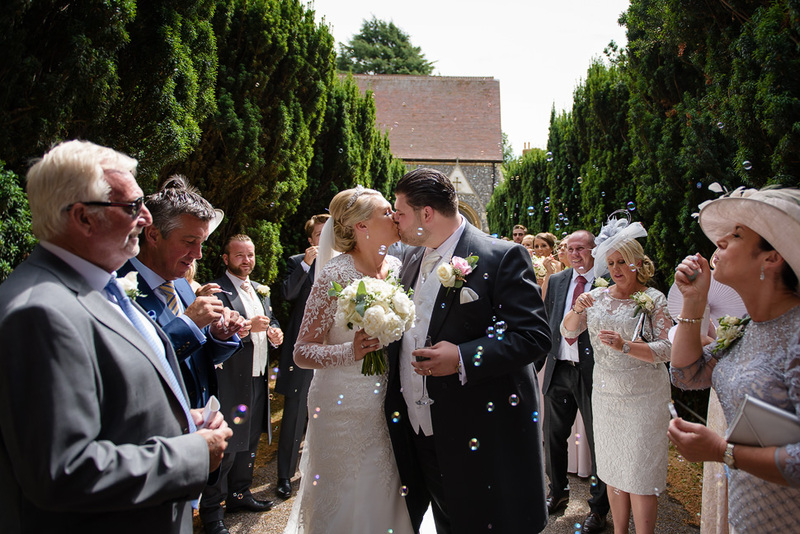 After a beautiful ceremony all the guests lined the pathway for a bubbly exit rather than confetti!! 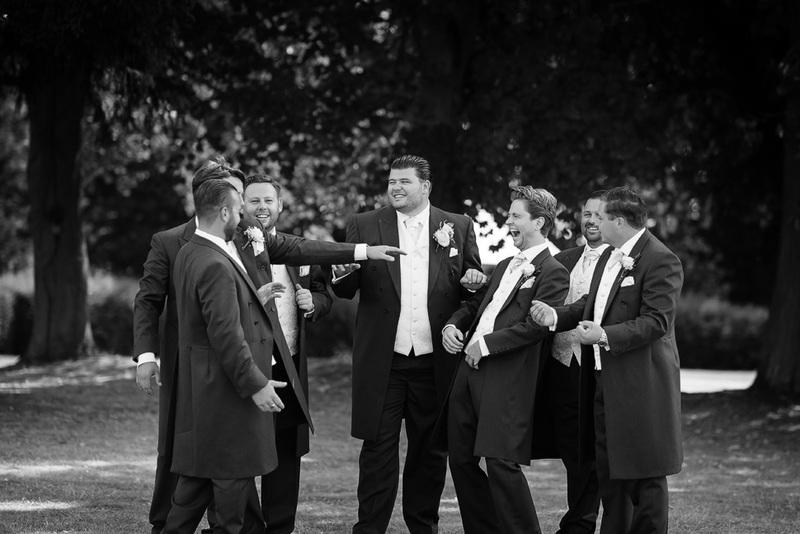 Everyone was trying their best to compete with the wind! 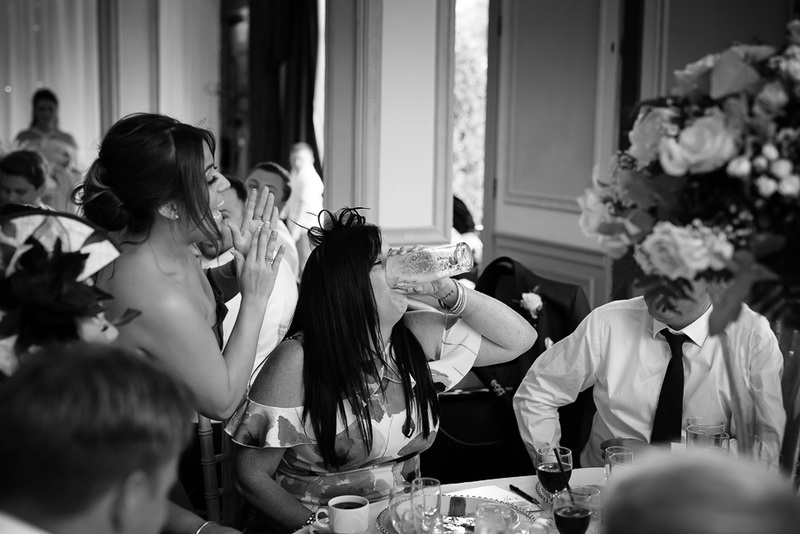 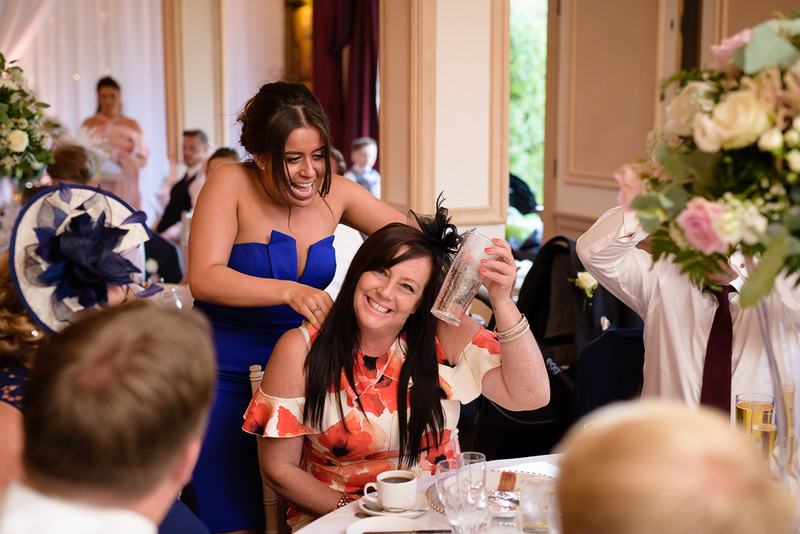 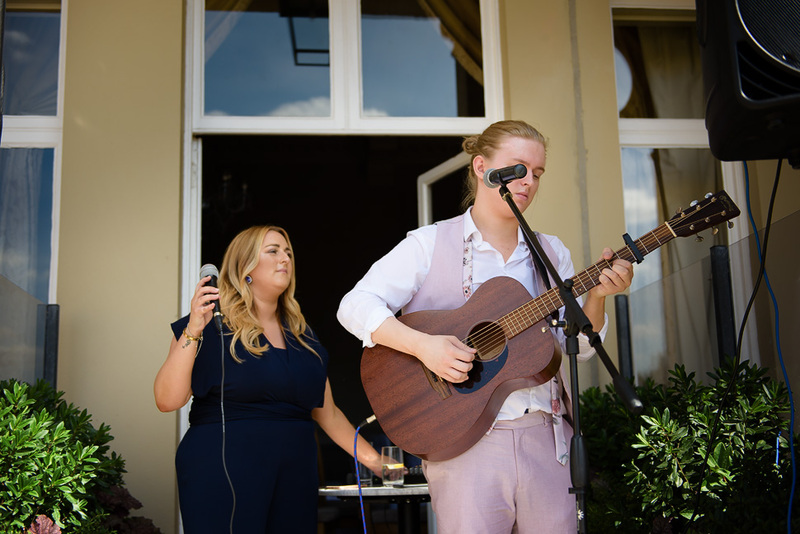 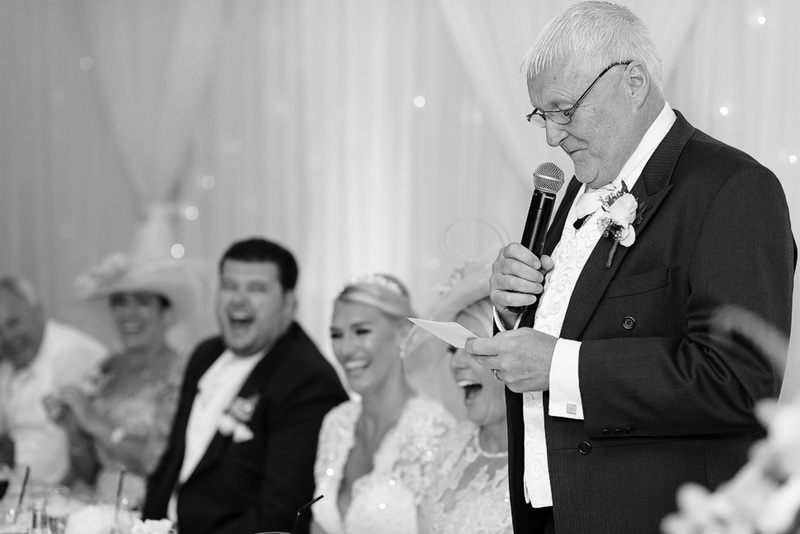 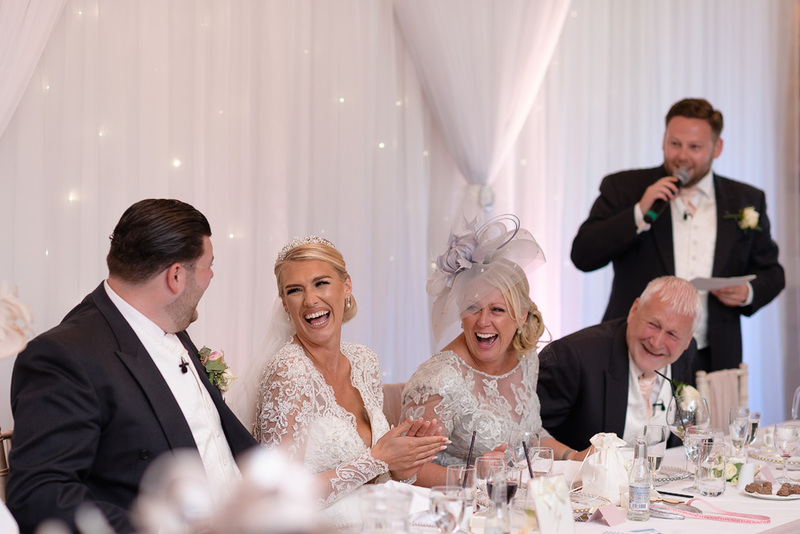 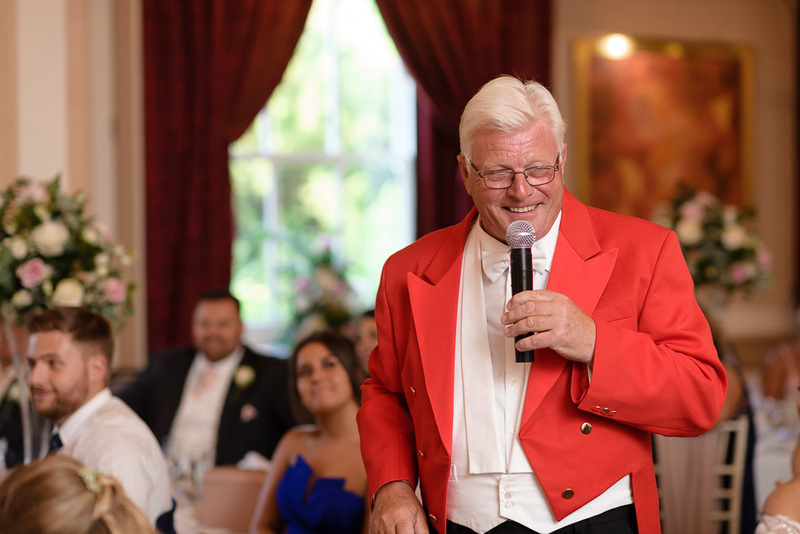 Louise and Joe spent the wedding reception mingling with their guests and having some family photographs, with some great singers providing some background music! 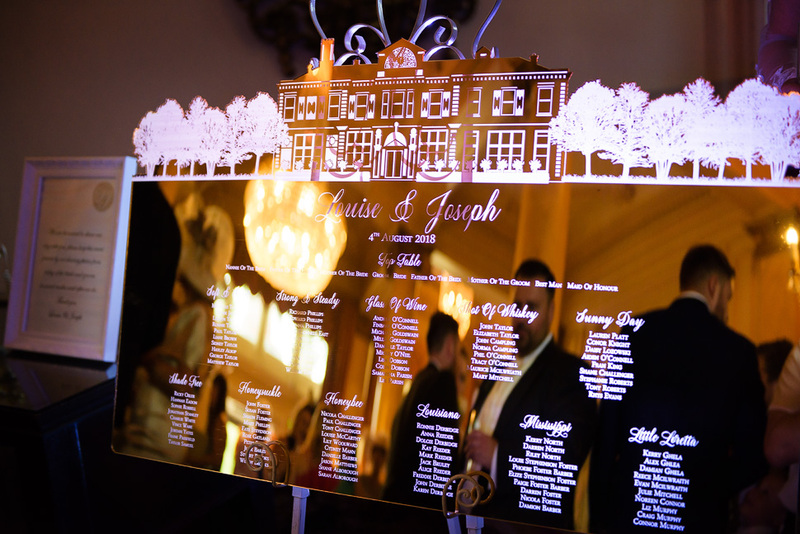 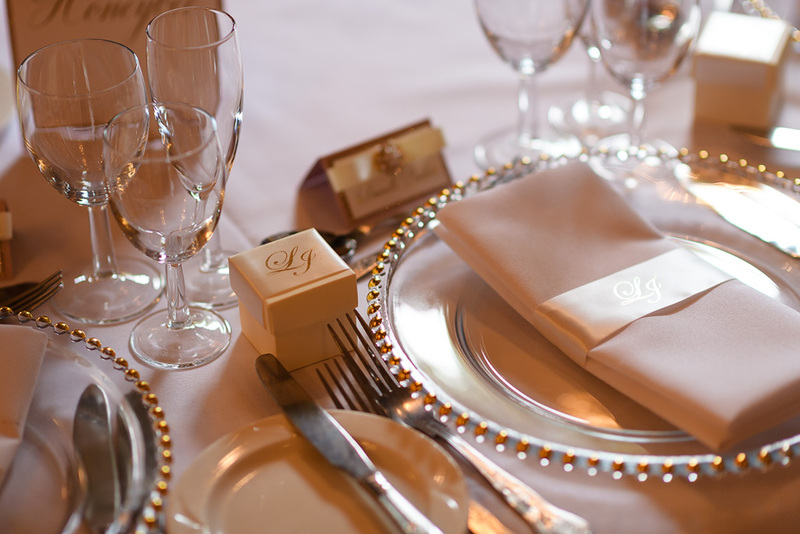 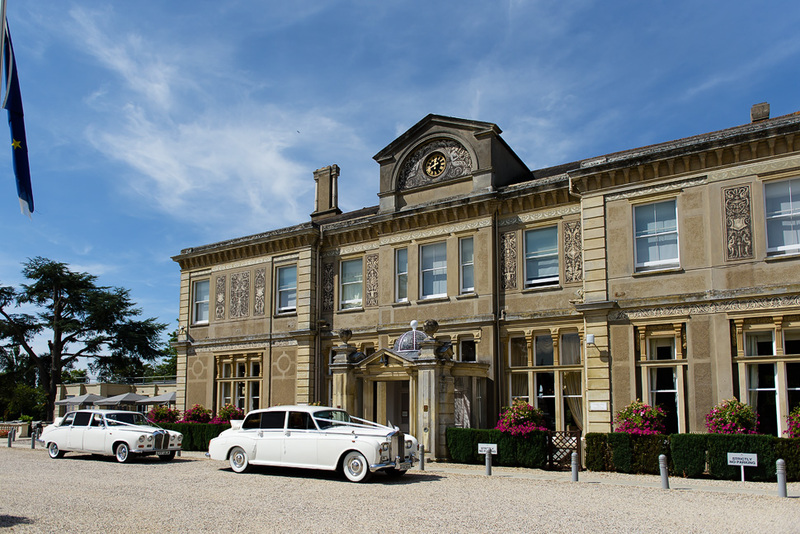 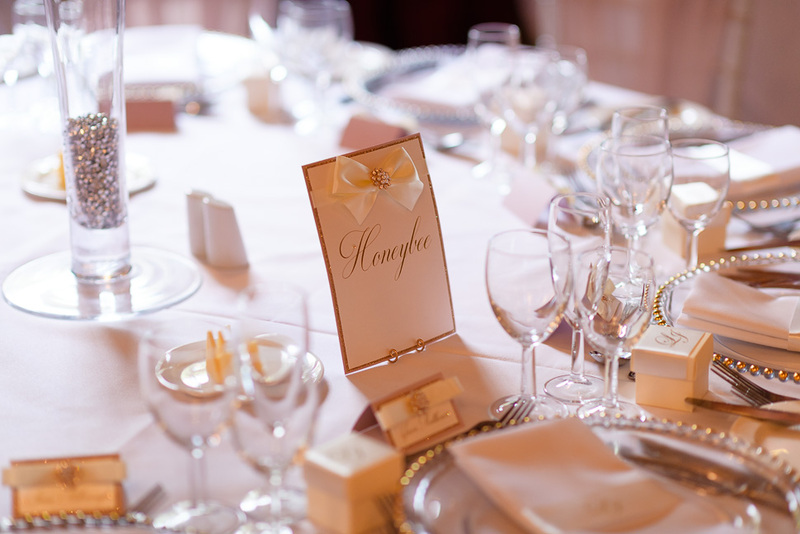 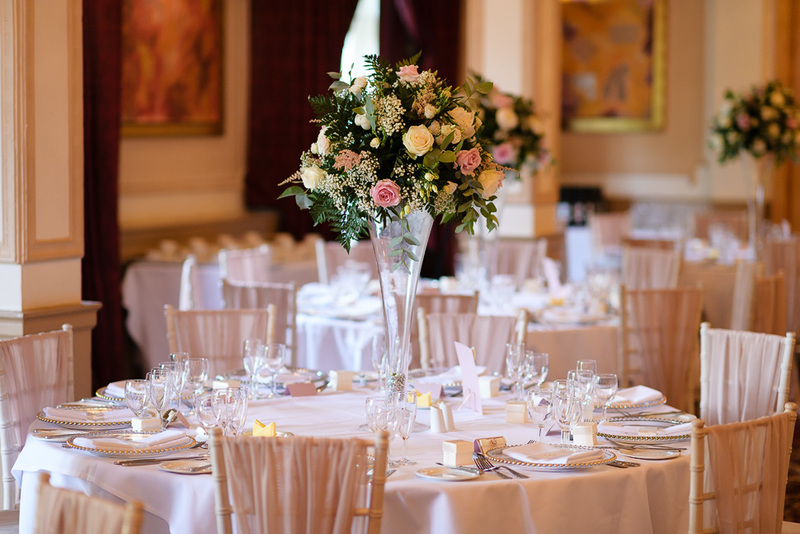 A top notch wedding breakfast was provided by the team at Down Hall right before the speeches. 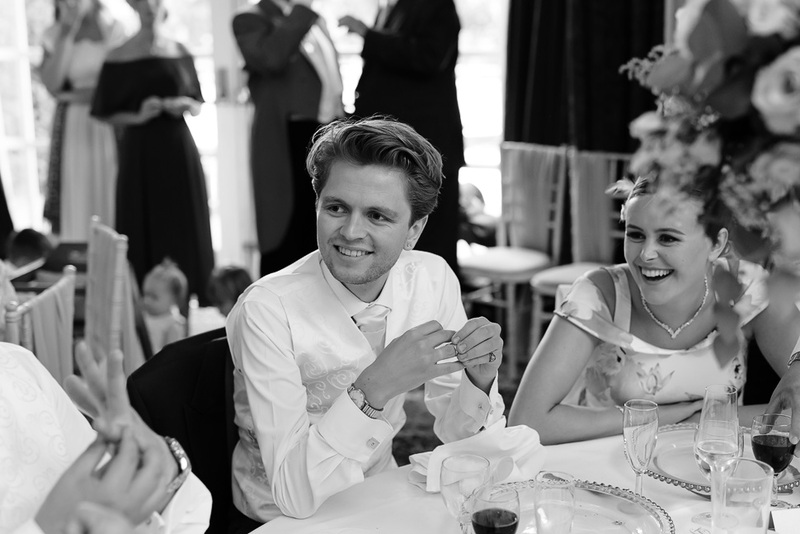 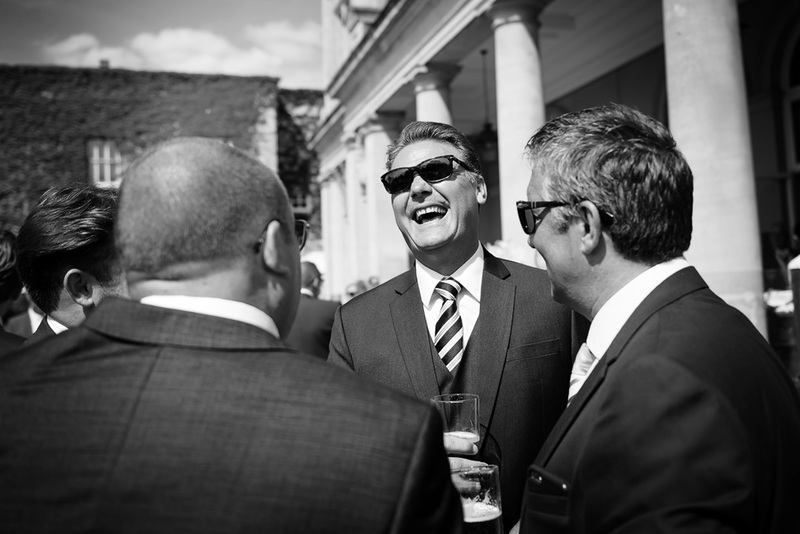 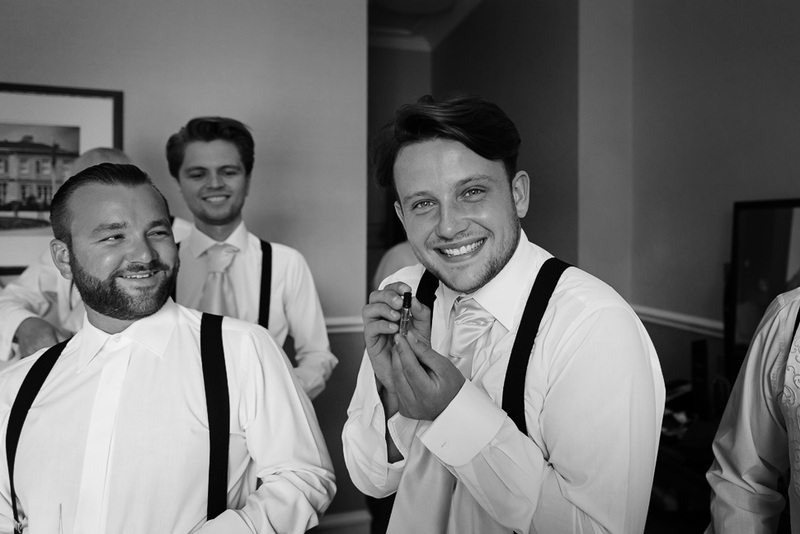 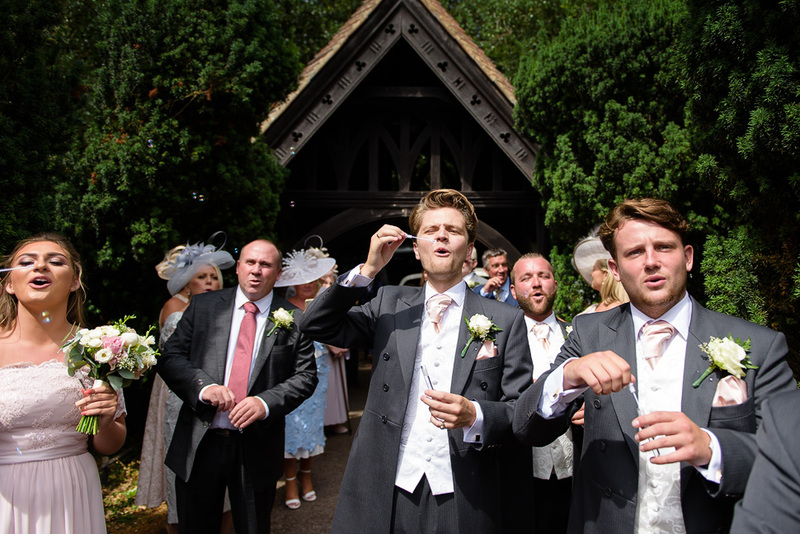 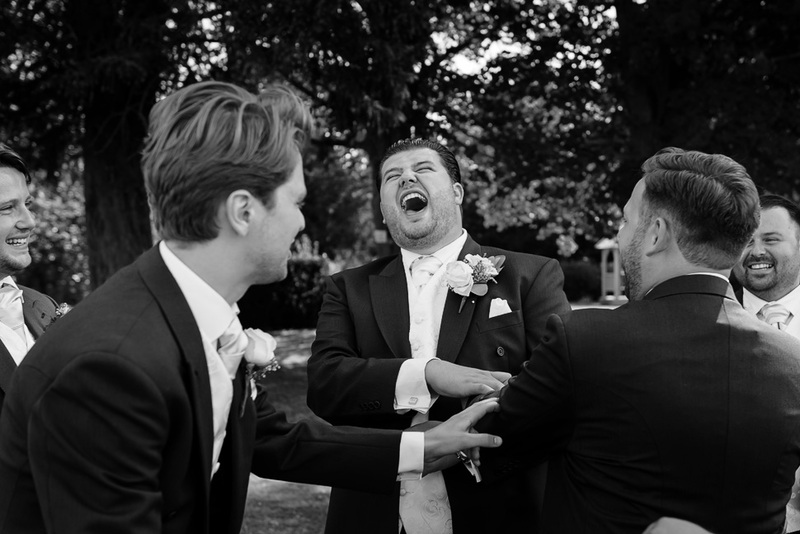 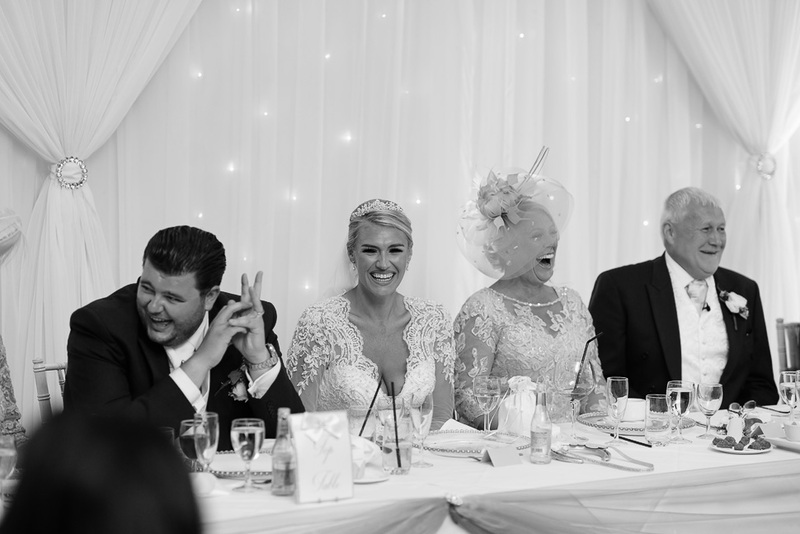 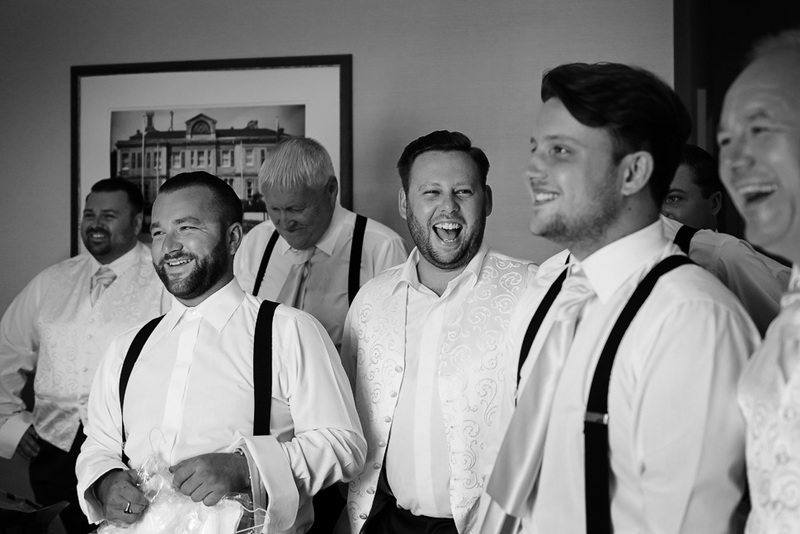 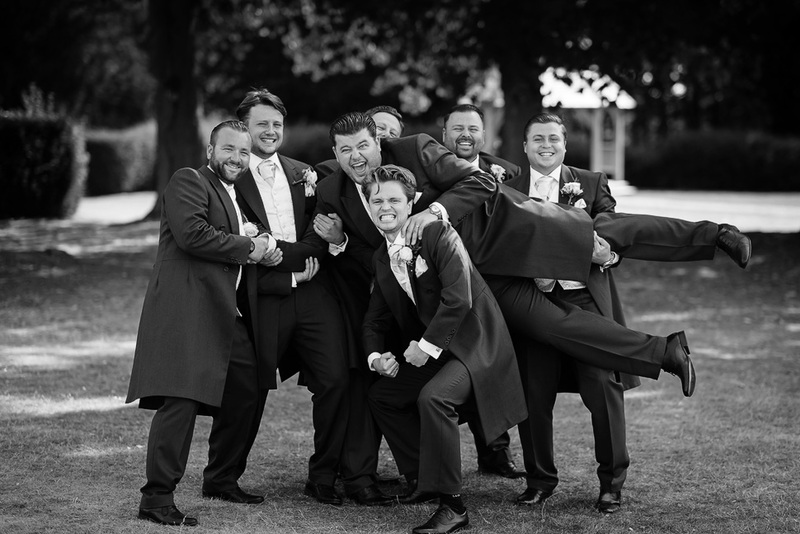 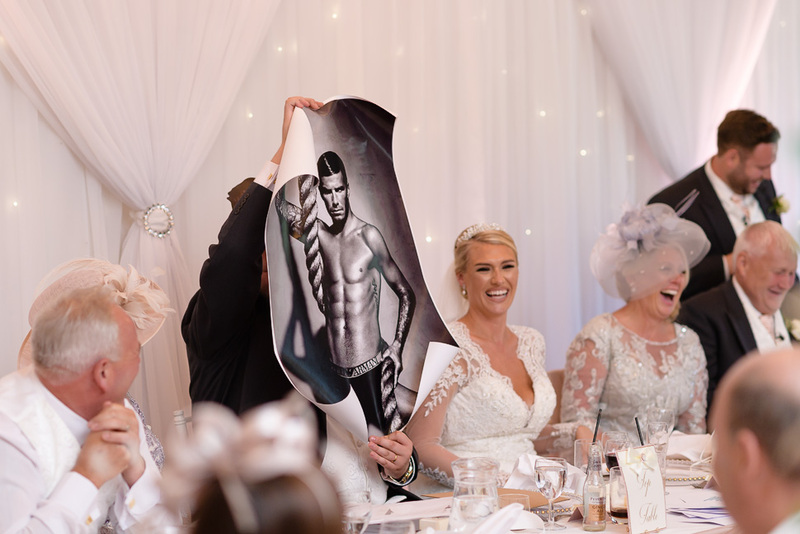 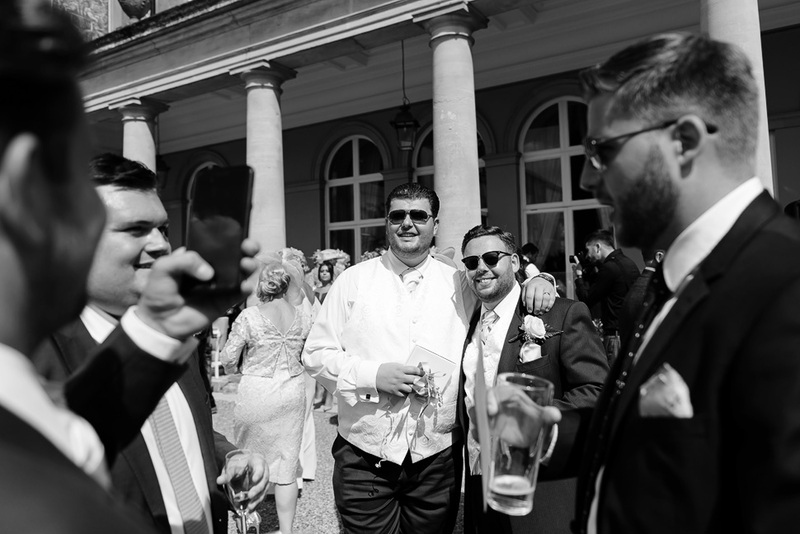 Plenty of fun and laughter there with Joseph getting a bit of a hard time from the best man, mandatory! 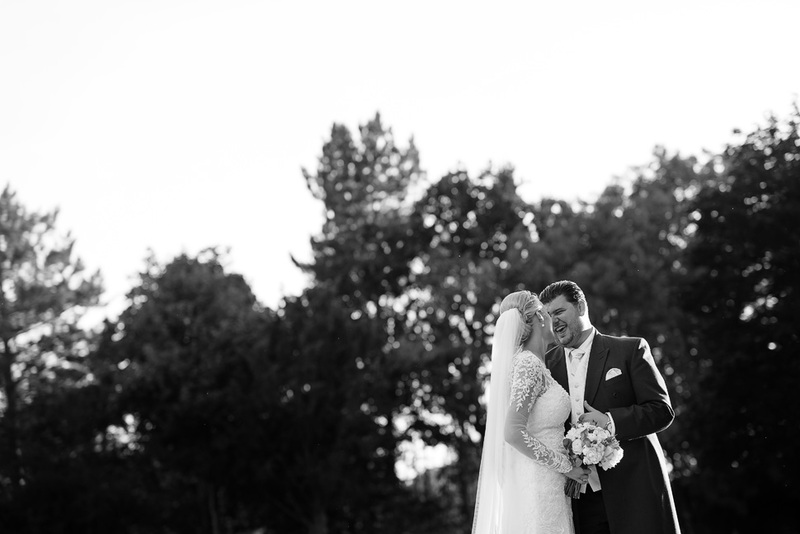 It was so hot we did their couple portraits later in the day when it had cooled down a little whilst the guests enjoyed more music from a violinist on the lawn, amazing I have to say. 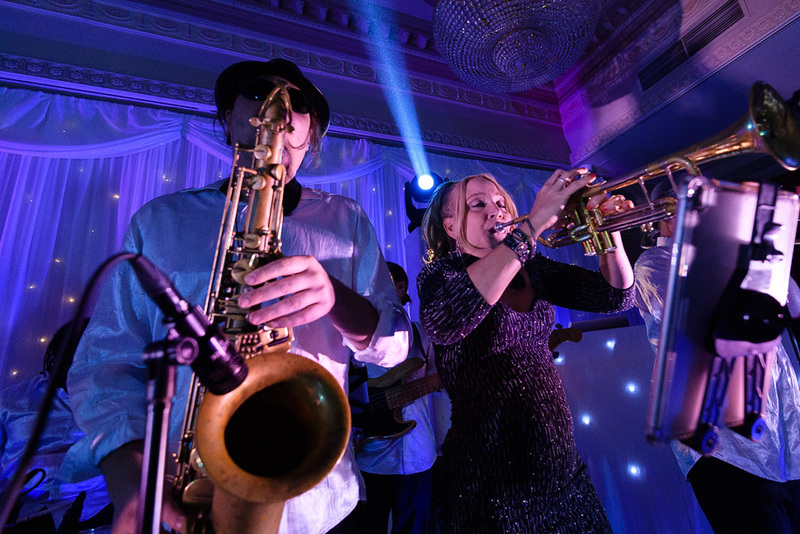 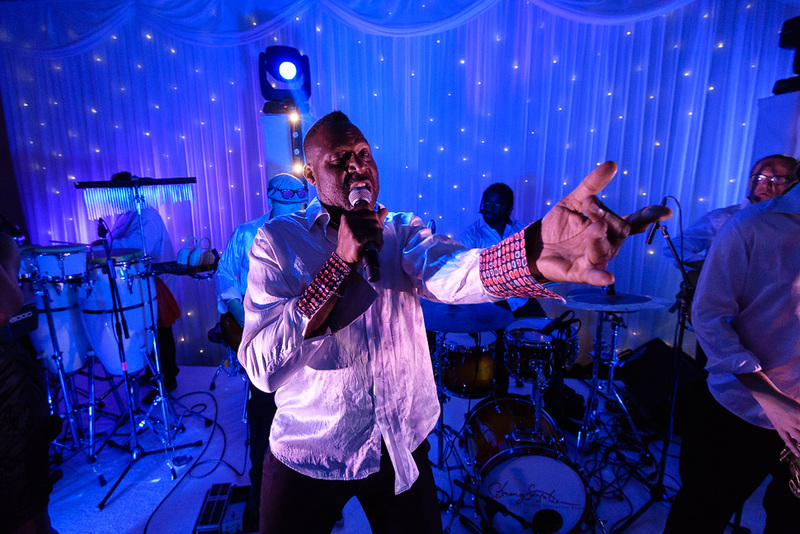 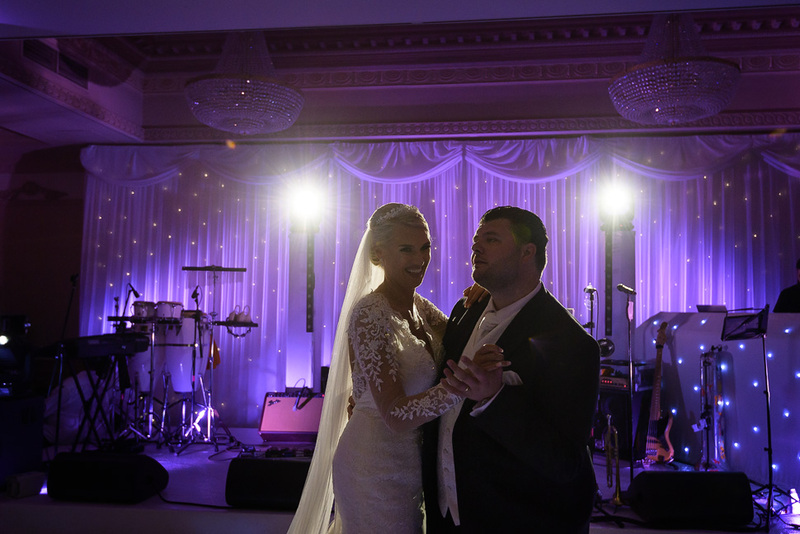 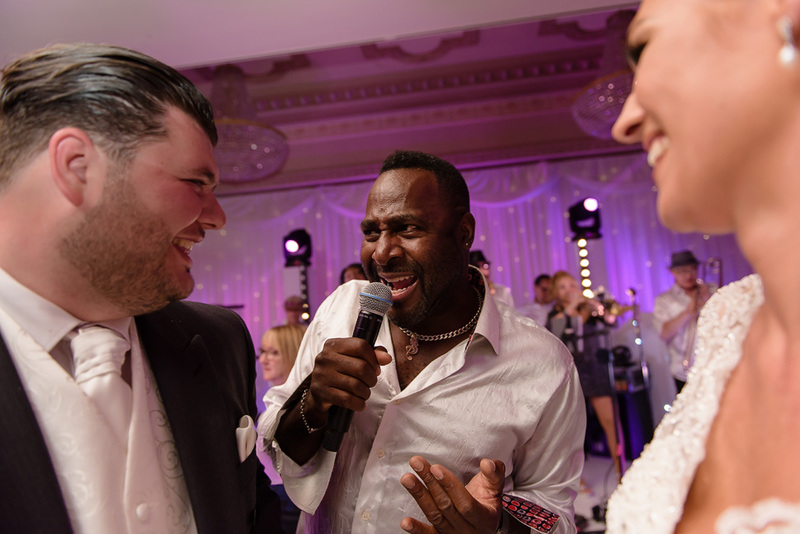 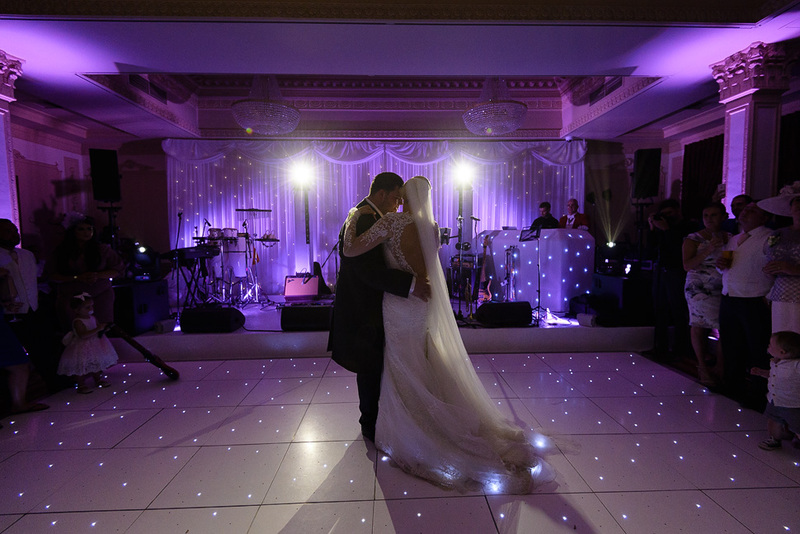 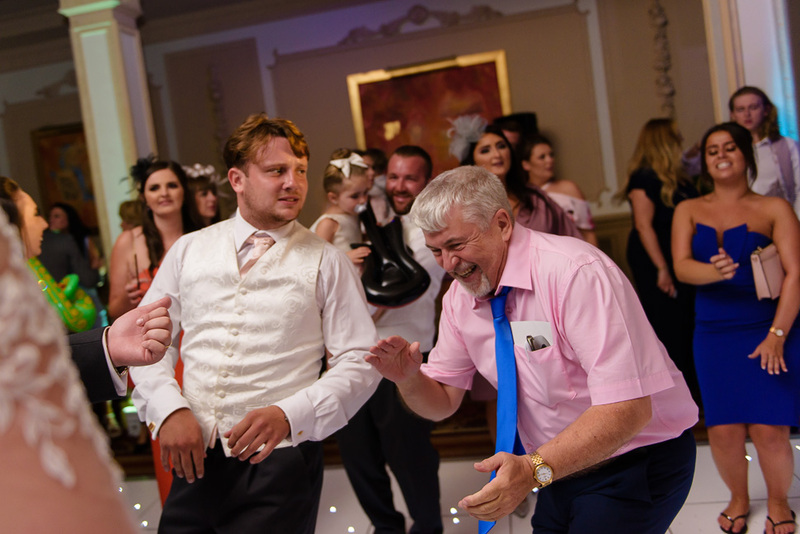 It was a long time in the planning but Louise and Joseph pulled off a brilliant wedding with fantastic entertainment, all rounded off in the evening with Fil and his fantastic band Strong Sensation, with Lovelight as the DJ’s along with providing the lighting! 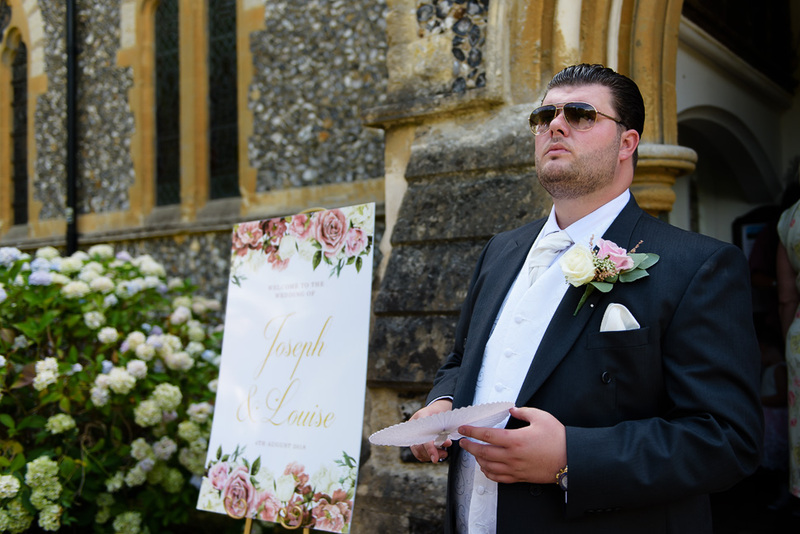 Thanks for having me Joe and Louise, I had a blast! 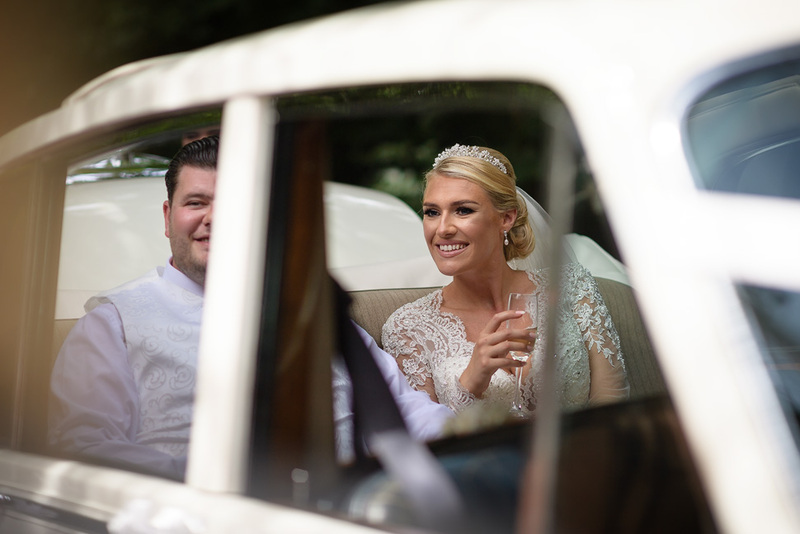 Here are some images from the day, feel free to share or leave a comment!